"...five key elements that go into every great short story: character, setting, conflict, plot and theme." 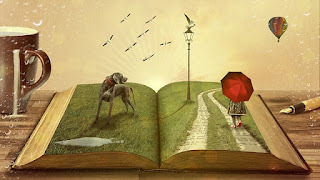 "A short story is a piece of prose fiction, which can be read in one sitting. Emerging from earlier oral storytelling traditions in the 17th century, the short story has grown to encompass a body of work so diverse as to defy easy characterization. At its most prototypical the short story features a small cast of named characters, and focuses on a self-contained incident with the intent of evoking a "single effect" or mood." Creative Writing Now: How To Write Poetry Site offers help with poetry and story writing.